Cut flower sweet peas are one of the most amazing flowers a gardener can ever experience, but they are not always the easiest to grow. 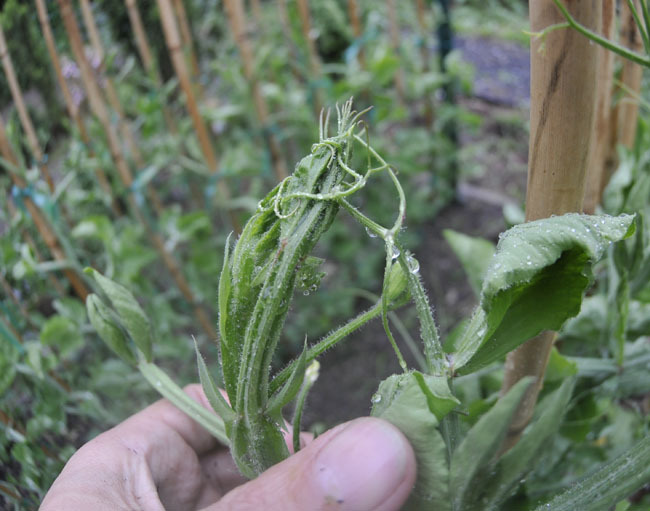 Here is the story about how I raised long stemmed English sweet peas this year. 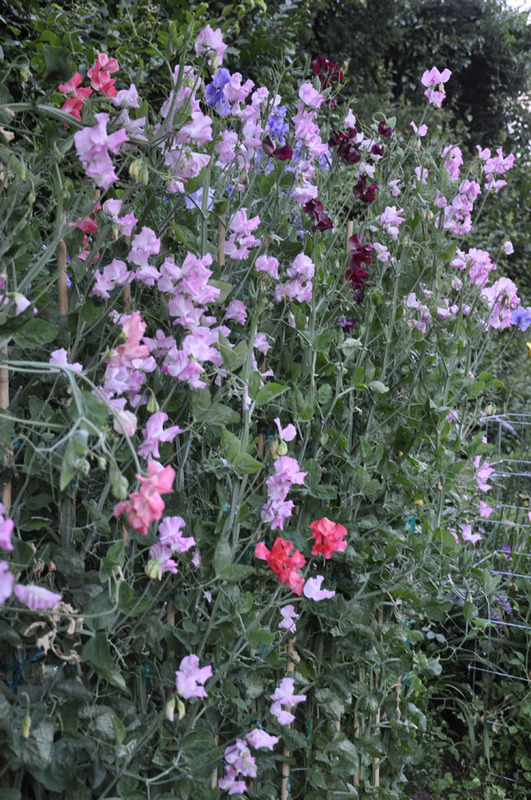 Last year I became obsessed with English Spencer Sweet Peas - so variety grown by true Sweet Pea enthusiasts in England and elsewhere, because of its characteristically large blossoms and long, long stems. 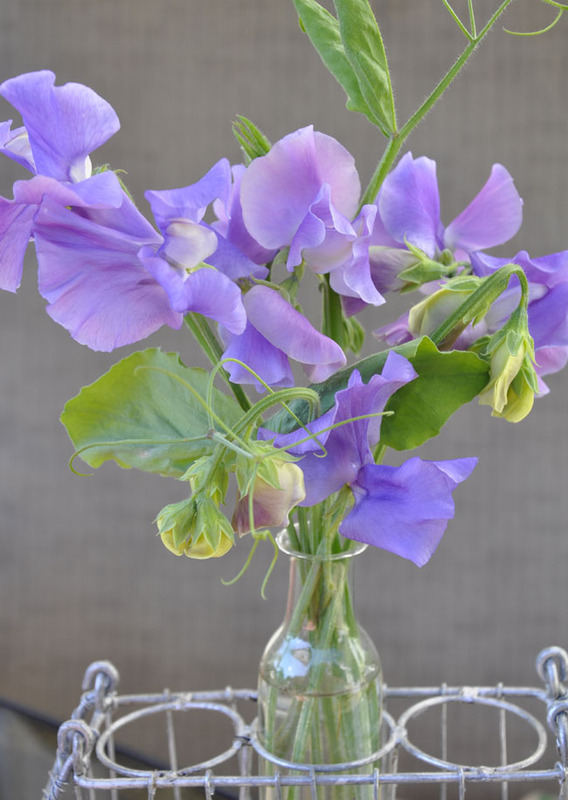 Once the most popular cut flower in America ( in 1900), today, the sweet pea is still somewhat scarce, which just means that you will need to grow your own from seed, as this is another one of those annuals that you will not find in garden centers as seedlings ( and, you shouldn't, as the best plants are those grown from seed in your own garden). As many of you know, I sort of became a little too obsessed last year, even having a party to celebrate their mass blooming in June. Since many of you have shared an interest in trying to grow Spencer Sweet Peas yourselves, here is a photo-heavy step-by-step post on how I grow mine. Enjoy! Sweet Pea enthusiasts use a new type of pot called a root trainer, and the name Rootrainer is also a brand. Google it, if you think you can invest in a set ( they are not cheap, but they are reusable). Some people use toilet paper tubes ( silly, really, and not horticulturally sound as they will decay long before you can transplant your seedlings). 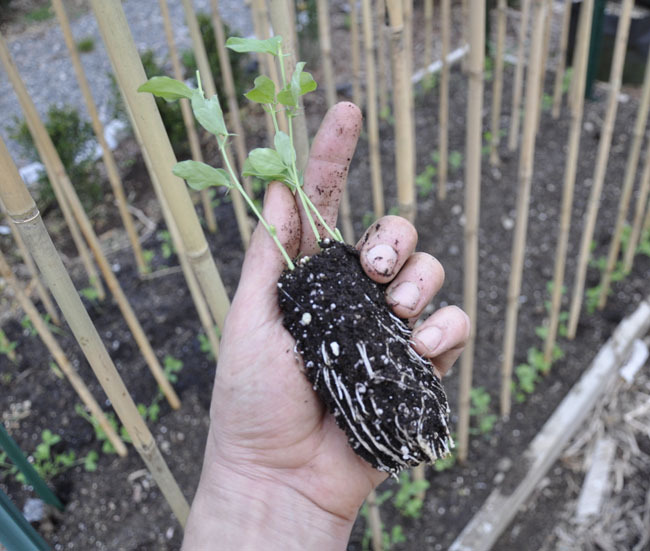 Root trainers allow seedlings to produce long roots, essential with sweet peas, especially since you will be pinching the seedlings to encourage even more roots in the first few weeks of growth. Of course you can use most any pot, yogurt containers - what ever you feel comfortable with, but look for deeper containers rather than shallow ones. Sweet peas dislike root disturbance, so Root Trainers allow you to unfold the pot, and slide the root ball out with a minimum of disturbance. With regular pots, you will just need to carefully tap and slide out the root ball. Varieties are important, and I encourage you to seek out the Spencer variety if you are large flowers and long stems. You certainly can use American seed strains if you wish, but I assure you that the flowers will be smaller, and the stems shorts. Heirloom varieties exist, and they are often more fragrant, but the true Spencer strain forms have the newest varieties - those grown for exhibition in England, and I believe the largest foliage and flowers. Grown side-by-side with American Royal sweet peas, you will instantly see the difference. 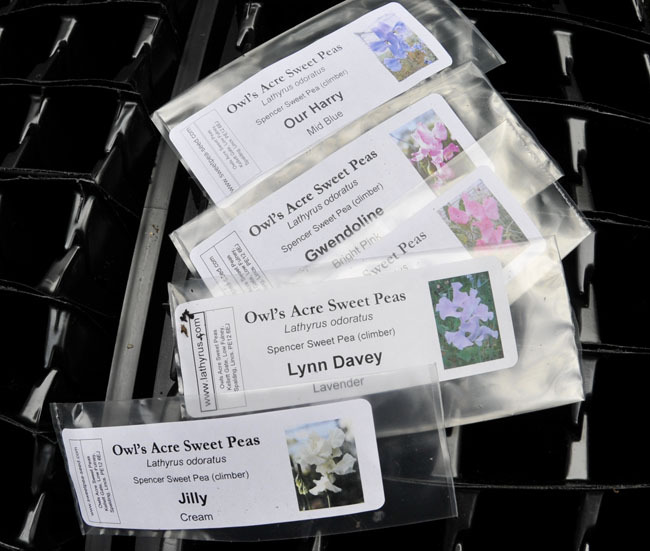 I order mine from Owl's Acre in England, but there are many sources in the UK and even from California (although, I honestly would just look at the Sweet Pea Society website in England, and check out their source list - these growers grow two crops a year, to ensure the freshest seed - one crop in the UK, and then one crop in New Zealand during their summer). I cannot stress the importance of getting the finest seed you can get. 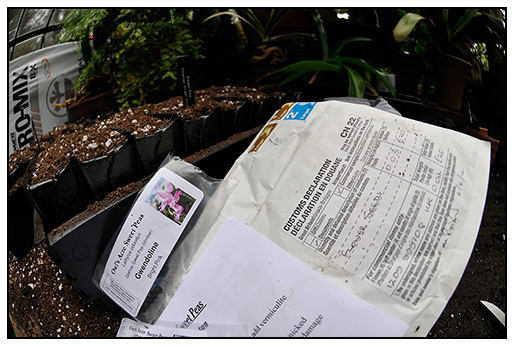 I sow seed starting in late February, but also as late as mid March ( I am late this year). I sow two seed per cell, and then I pull one out and toss it, keeping the strongest seedling to grow on. At the second leaf stage ( above) I pinch the growing tip out ( it's what the professional exhibitors do). 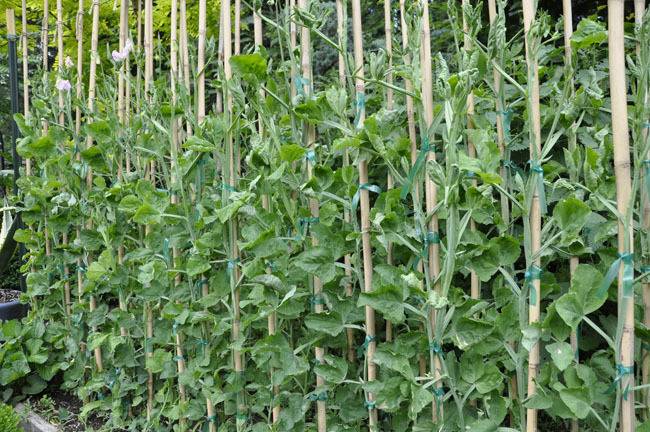 This encourages more roots, which is so important for sweet peas as the vines will grow 8 to 10 feet tall, and by mid summer, the hot temperatures will require plants to have deep and strong roots. Starting in mid March, I start bringing plants outdoors to harden them off. 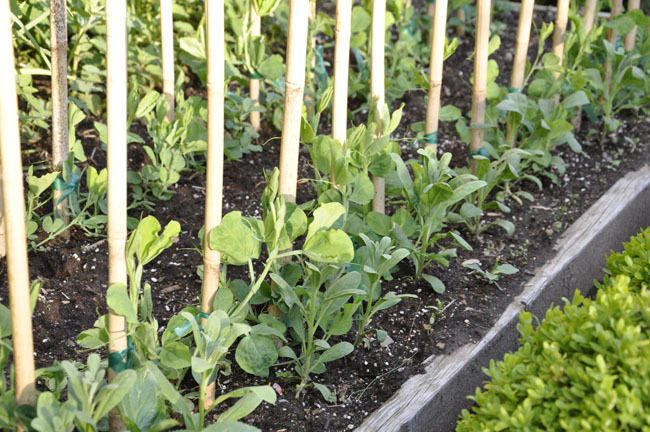 All peas love cold weather, and many can handle light frosts. At first, I bring the flats of root trainers back into the greenhouse, but by late March, I leave them outside all night, only protecting them if snow threatens. 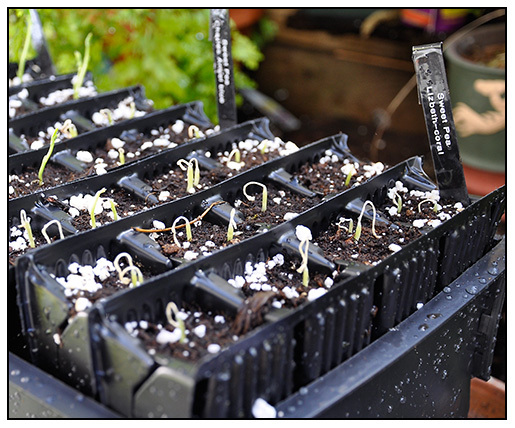 In the third week of March, I start setting out the strongest seedlings into a prepared bed. I don't add manure from the chicken and duck coops into the soil because one must control the nitrogen level, but I do add bone meal and a drench of tomato fertilizer ( 2.5.5), along with compost. 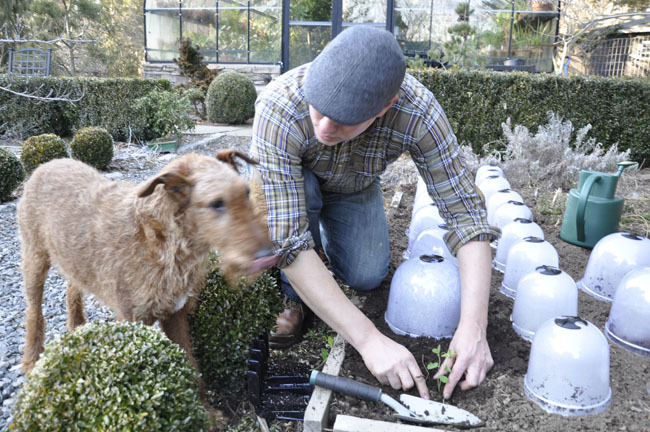 I use cloches to protect plants from heavy early frosts. 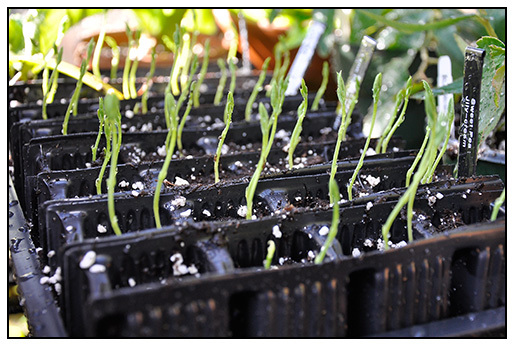 These pinched seedlings show how the root trainers work. Yes, I forgot to pull out the extra seedling here, but at this stage, I can still snip off or pinch out the two weaker stems. In the rear, you can see the bamboo cordon system I use - 8 foot bamboo canes, attached to a wire which extends between two snow fence poles. This creates a very sturdy structure which you will need once the vines mature and bloom. Seedlings after being set out, watered and fertilized. One plant per cane. I know, I know, a little crazy, but wait till you see the results. This is exactly the same way exhibition sweet peas are grown in England. If you think this is silly, I can say that the foliage on the sweet pea plants grown this way is four times larger than those on conventionally grown vines. The goal at this point? Strong roots, so I pinch plants again just after planting. Don't worry, you will be surprised at how pinching early will stimulate plants to produce side shoots which will be even larger and more sturdy than the original growing point. For some reason, side shoots are massive and more aggressive than those on un-pinched plants. After pinching, strong shoots will emerge from the base of the seedling. At this point, around May 15th, you will need to start tying vines to the canes ( they will not grasp on by themselves). 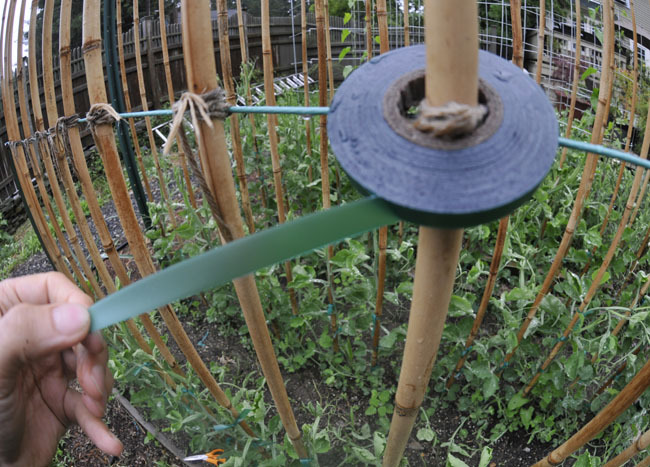 I use vinyl tape for tying sweet peas, as it does not damage the stem, it stretches and ties easily. I know, it is not environmentally sound, but it just means that I must collect the pieces at the end of the season. Many UK growers use this material for staking tomatoes and sweet peas. Its' very soft, and will not harm the plant. By June 1st, vines will start to grow incredibly quickly, almost 3 inches a day. Have twine or tape ready, for they will need to be tied every other day or so. I tie at each internode. It's a pleasant task, relaxing after a long day at work, just listening to the robins, and making little bows. I've tried twine, rope, twistems, but this soft plastic ribbon is the best, as sweet pea stems are winged, and tear easily with even thick twine. If you want to be more organic, you may want to try cutting fabric or cloth ribbon. I think the trick here is a flat material and not a round one, which will cut into the stem. Tendrils emerge at the end of each leaflet, and they will need to be cut off, or this will happen. They will grasp onto bud and nearby leaves, encircling them and causing havoc. Carry a pair of little scissors, and snip all tendrils off. Flower stems need to grow tall and long, and tendrils will cause trouble. Again, it is a strangely pleasant task, snipping off tendrils every day after work in the evening. 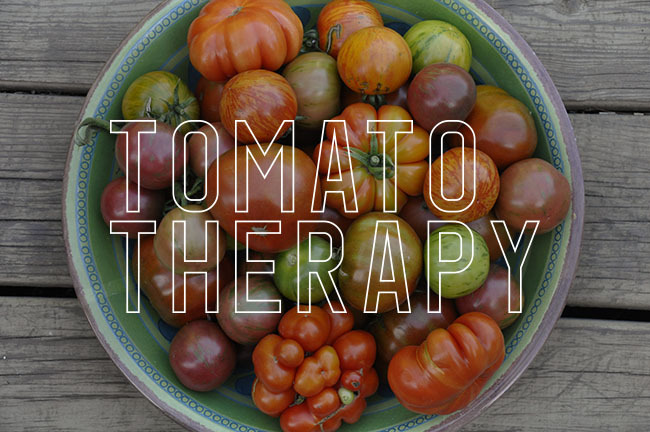 Sometimes, tending to plants with snips and ties, can be like therapy. By mid june, flower buds will appear, and extend long and tall. If the first set yellows and falls off, don't dispair, but keep an eye out for virus' and aphids. If you are lucky, soon will will have amazing long stems of fragrant sweet peas. Some of these stems are 18 inches long, with blossoms nearly 2-3 inches in diameter. 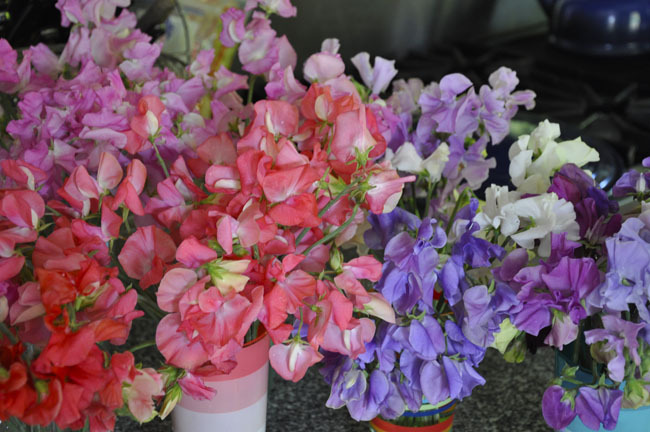 Properly grown sweet peas are amazing and impressive, probobly because we rarely ever see them, even at florists. 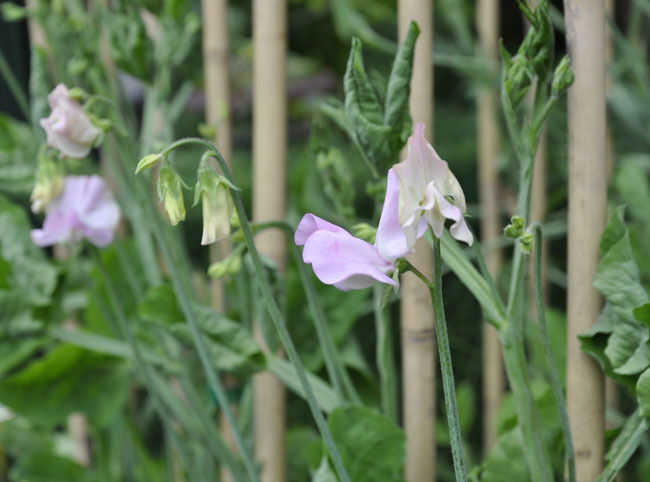 Once you grow your own sweet peas, you will understand their charm and respect why they were so popular a hundred years ago when people cared about such things. The color palette with Spencer Sweet Peas is unmatched. coral, cerise, periwinkle - some of the purest colors seen outside of Valentines Day or the My Little Pony aisle at Target. I can say that, because I know :). The Yummiest colors of any flower, indeed. So go get your sweet peas on! If you crave the delicate blossoms and stems of poppies and want to try growing some in your garden this year, consider the Shirley Poppy over Iceland Poppies. The 'Shirley Poppy' encompasses a cluster of selected strains of a a specific poppy - Papaver rhoeas. It's name comes from the village of Shirley, England, where the first strain was discovered in the late 1800's. It's hard to find someone who cannot identify a poppy form - a tissue papery, crepe like flounce of fragile petals and a central boss of stamens. The poppy form is study of simplicity and poise, not as simple as a daisy, and not overly complex in form, it may suffer from the fact that school children rarely draw a poppy when asked to draw a flower. Still, it the poppy may be he most mysterious (read-un-seen) 'common' flower in our visual lexicon, for the 'idea' of 'poppy' exists in the greater consciousness of most everyone (Close your eyes and you can visualize it in your imagination), yet we rarely can touch one aside from the more common Oriental Poppy seen in many perennial borders, or the Iceland Poppy, seen in most big-box stores in the spring. We live a world that can only imagine fields of poppies, their unique symmetry and their loose, gossamer thin, over-lapping, tissue papery blossoms on wiry stems, but we rarely experience their physical presence. Yet pop-cultural references abound - 'the Wizard of Oz' ,Martha Stewart, Etsy, Pinterest, Wedding Blogs - our digitally saturated web world informs us daily that we must grow or obtain 'the poppy', and crepe paper crafted ones aside, I am on a mission to inspire you to actually step away from your laptop, and to go grow some yourself, so that you can appreciate and experience the real joy of poppyhood. I've noticed that our honey bees prefer the Shirley Poppies over most any flower in the garden. One look at the boss of stamens, and one can see why. Mastering annual poppy culture requires that you follow some basic, sound horticultural knowledge. 1. 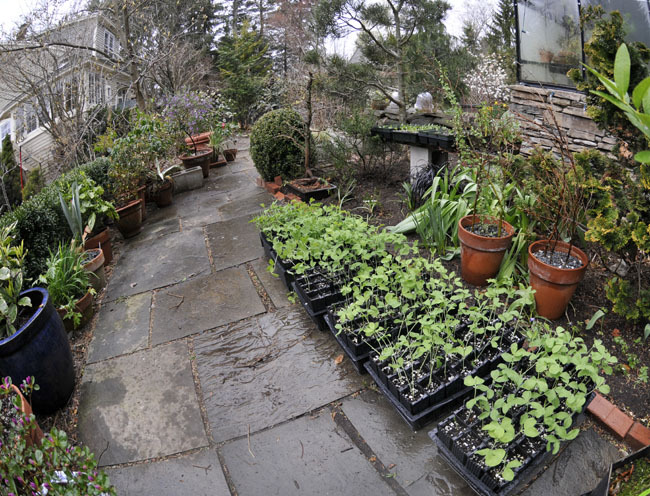 Sow seed early - February or March in New England, and earlier in USDA Zones 6 and up. 2. 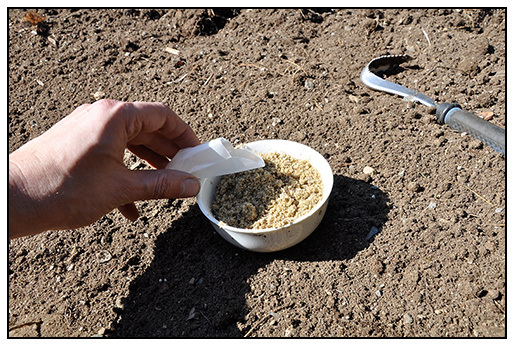 Allow seeds to get light ( lightly rake the find seeds in and tamp down). They need light to germinate. 3. 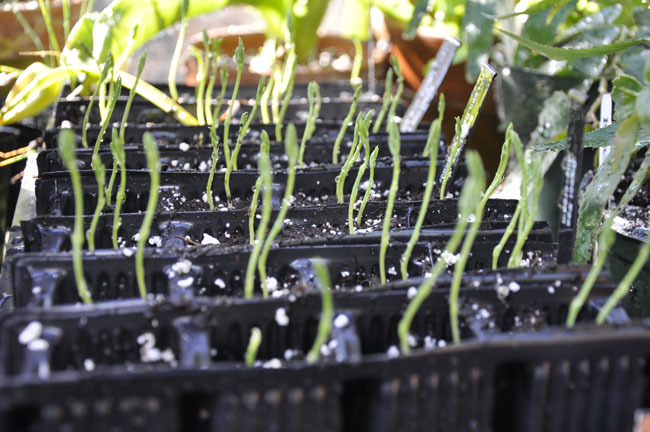 Thin seedlings early ( do not transplant, rather carefully pluck seedlings which are too close together, for they are tap roots and will sulk if transplanted). 5. By June, you will be blessed with the goose neck, prickly buds and shortly after, gorgeous grey, pearl, salmon and blackberry colored blossoms. Shirley Poppies are actually not a distinct species, but rather a strain, or even more correctly, multiple strains of the species P. rhoeas which have been selected for a color break from the wild species. Rather then completely red, the first strains were carefully selected for their pastel colors and muddy tints so stylish in the late 1800's. The name Shirley Poppies comes from where the first strain was developed, in the village of Shirley, in the United Kingdom where the vicar of a parish in the village made the very first selections, thus, isolating the first strains from wild poppies. Since then, all Shirley Poppy selections have originated from that first selection, and many are still grown today. 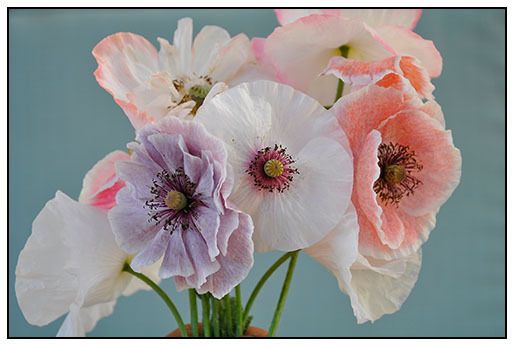 The finest colors for mauve and smokey tones come from a strain called 'Sir Cedric Morris' and the grayest come from the 'Mother of Pearl' strains, which date back to 1889, and 1910 respectively. Both are work seeking out today for their distinctive colors, smokey grays and lavender, mauve edged in white, and opalescent shadowy tints. My favorite? The occasional dove gray or pewter blossom. In any strain, there will always be some red flowers, so take note, especially if you are a color -purist. You will have to pull these if you dare, but I find that in any mix, the colors seem to work perfectly, and add to the Victorian elegance of the selections. 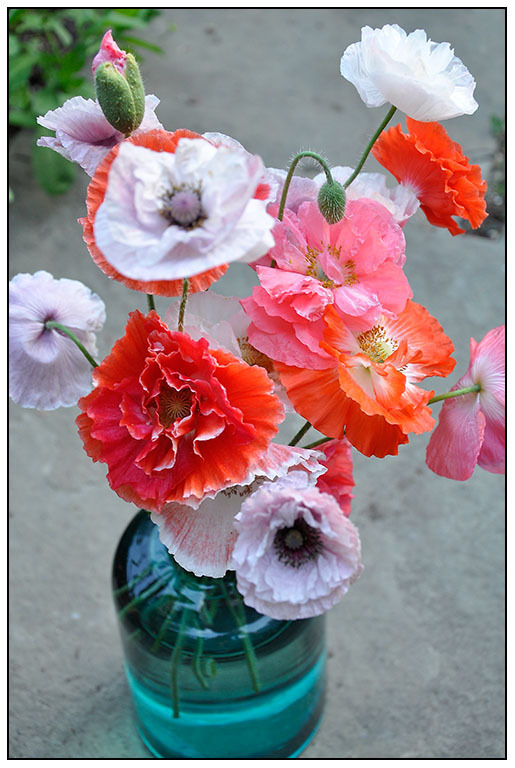 Success with Shirley Poppies correlated directly to seed strain, and seed source. 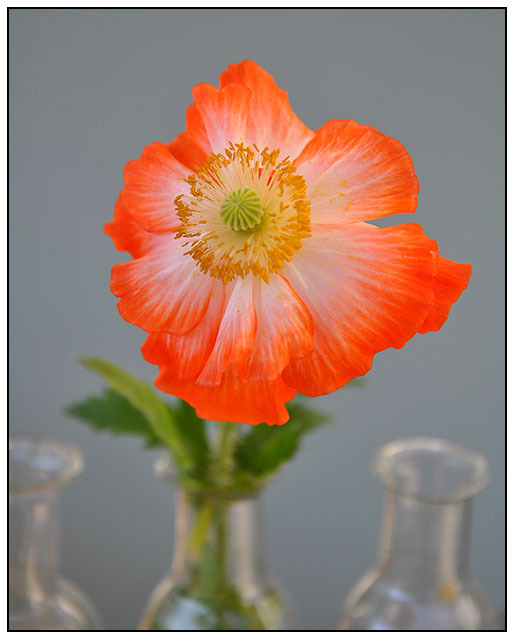 for unlike Iceland Poppies (P. nudicale), one cannot buy pre-started seedlings or plants at garden centers, and if you happen to find them, they will not grow as well as garden-sown plants. 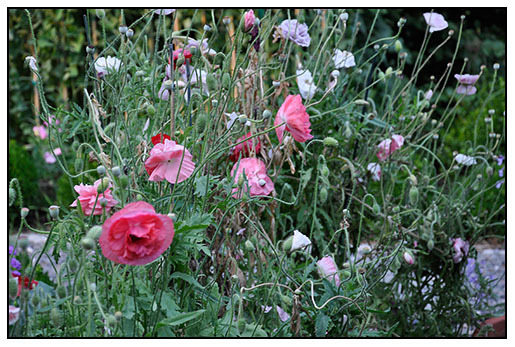 If you desire poppies as I am showing in the photos here from my garden last year, the I suggest sourcing the gentle tinted strains - Sir Cedric Morris, now more commonly sold under the name 'Mother of Pearl', for one can replace the other, and both are variable - both strains which I highly recommend as they present perhaps the finest in color selection. 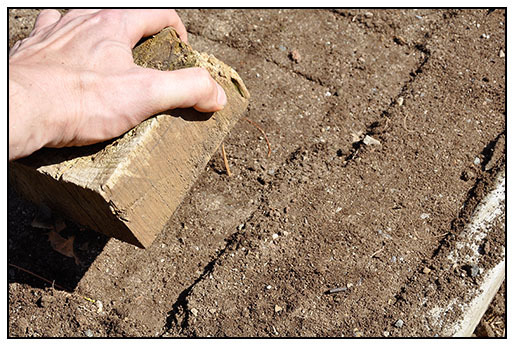 Prepare the soil by simple scratching the surface, if you are sowing in a raised bed, or turn over with a pitch fork and then rake away any rocks and sticks, to create a smooth surface where the seeds and sand can fall gently. Poppy seed needs light to germinate, so the surface texture before sowing should be relatively flat, and not furrowed, to minimize seed being covered too deeply once tamped down and watered in. Poppy seed is extremely small, almost dust -like. Seed this small is best mixed into sand first, before sowing, which helps distribute the seed more evenly onto the surface of the soil. 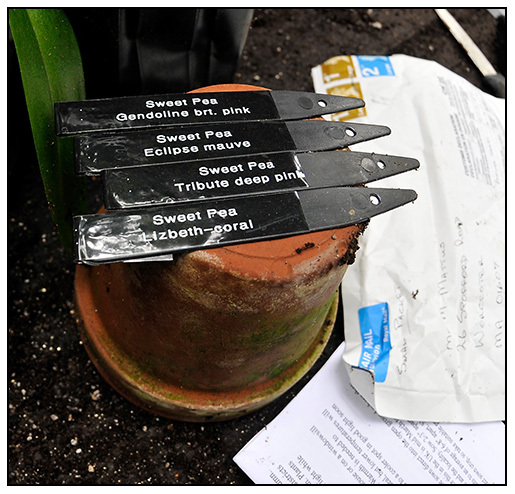 Seed will often come in little, wax paper sachet's within a traditional paper seed packet. Depending on the seed supplier, you may get only a few dozen of these precious tiny seeds, or nearly a teaspoon full. Most will provide only 30 - 100 seeds, and these I mix a few packets of seed together with about 1 cup of dry sand, which I then carefully pour into a kitchen sieve with holes large enough to allow the seed and the sand to pass through ( this will take some practice, to find the perfect sieve). If you find a supplier that provides you with a lot of seed, don't be tempted to use too much, for a thick sowing is what you want to avoid. About 1/2 teaspoon of seed to 1 cup of sand before sowing a space which is 6 feet long by 2 feet wide will be sufficient. All annual poppy seed is small, so tiny, it can be like dust. I find that mixing seed with sand before sowing makes not only the sowing an easier task, it helps separate the seed so that an even distribution can be achieved. All poppies dislike transplanting, as they are tap-rooted plants, and need to form a straight root with minimal or zero root disturbance. This is why one rarely finds annual poppies sold in garden centers, they are old fashioned annual which must be sown where they are to be grown. 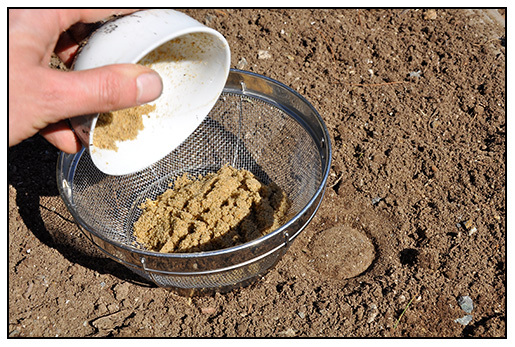 After mixing the seed into coarse sand, the entire mixture is placed into a sieve with the proper hole dimension, to allow both the seed and sand to pass through evenly. The seed and sand mixture is then 'dusted' onto the surface of the prepared bed. Remember - poppy seed needs light to germinate, so do not cover the seed, and be careful not to 'dust' the sand too liberally. A thinner application of seed is better than a thicker one. Strive for seeds distributed every 4 or 5 inches, as plants growing together will aid in staking, and help hold each other up. Tap the sieve with the seed and sand mixture carefully over the prepared bed, in much the same way one would dust a cake with confectioners sugar. 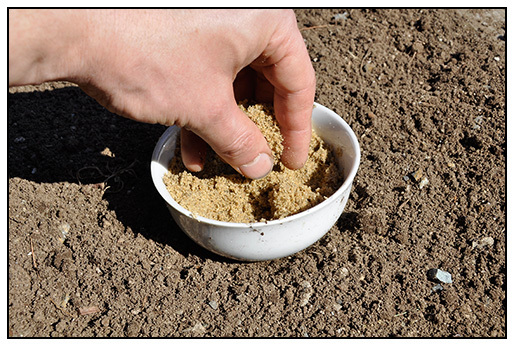 Follow up with a firm tamping of the ground to ensure that each tiny seed comes in contact with the soil. I use a scrap piece of wood, but you can use anything from a brick, to your boot if it is dry ( avoid using a damp muddy boot, for you risk picking up more seed than you are sowing). In mild areas, or in the south, annual poppies prefer being sown in autumn, but in areas where winters are brutally cold and wet, an early spring sowing is safest. I prepare a bed where only poppies are to be grown, in this way, weeding around the tiny seedlings is easier. 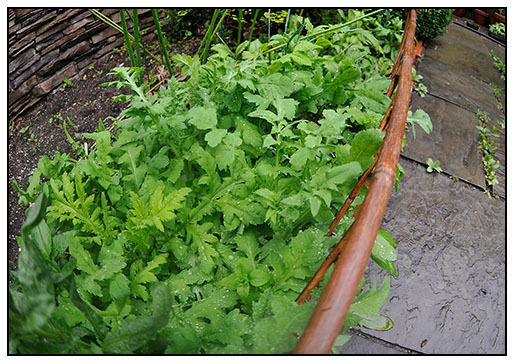 Dedicating an edge of a raised bed in the vegetable garden is a great place to plant a row of poppies, and any competition can be eliminated easily. March to April is the preferred time to sow outdoors, for poppies can endure cold temperatures and light frosts while seedlings. Not every year will be the perfect poppy growing year, just as not every year will be the perfect sweet pea growing year, but one must try each year, and cherish those which bring cool nights in the spring and early summer. 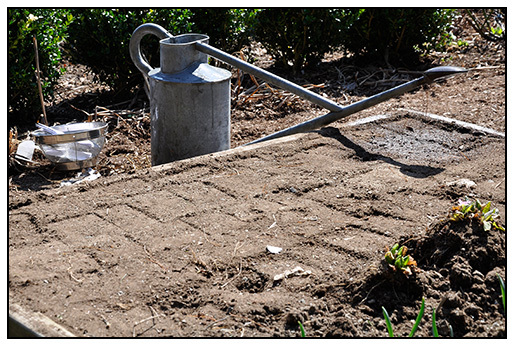 Once the soil surface is tamped down, water in with a spray of water, or with a sprinkler. This is essential now, and until the seedlings are 3 inches tall, for if allowed to dry out in early spring, an entire crop can be lost. Newly emerging seedlings are tiny - watch carefully for weeds, and learn to identify what the young seedlings of Shirley Poppies look like ( look closely in the foreground of the image). 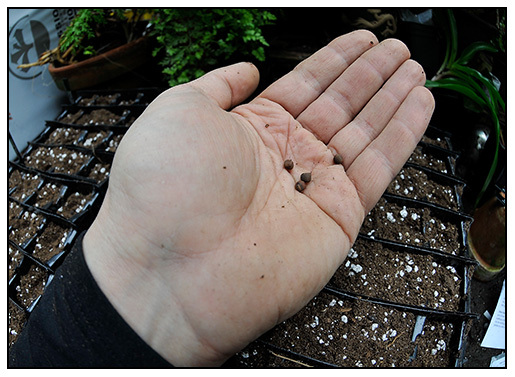 Look for seedlings at the two week mark, and look with care, for they will be extremely small. The thin cotyledons will look pine needle-like. Learn to identify what poppy seedlings look like and what weeds look like,( a good basic skill to practice here if you are a beginner), as weeding will become your greatest chore from now until your poppies bloom. Five week seedlings of Shirley Poppies - even the foliage is attractive. to the fleshy celery-like stems. THINNING - Each week after the seedling emerge, you will need to check for weeds, and some careful thinning if plants seed too close, but poppies will have a way of producing both dominant plants and weaker ones, so most of the time, no thinning will be needed which is best, as even careful extraction of seedlings can damage nearby seedling roots. Poppies are best left alone, with little tending, which is where most seed catalogs probably get the 'easy to grow' statement. 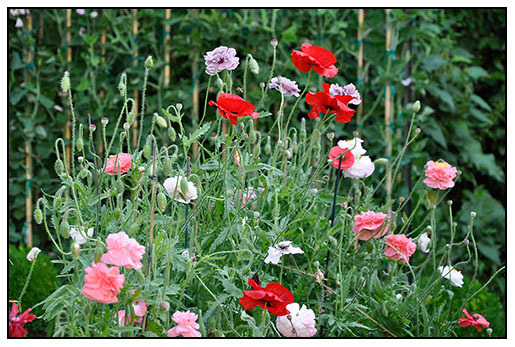 Poppies sown in March will seed as if they are growing painfully slow, and you may be tempted to add other annuals in-between, but be patient - plant will suddenly take off and grow many inches in only a few weeks in late May, and by mid June, flower buds will start to open. Carefully staked Shirley poppies in my garden in early July in full, color glory. Blossoms are short lived, a day or so, but new ones open as fast as the petals fall. 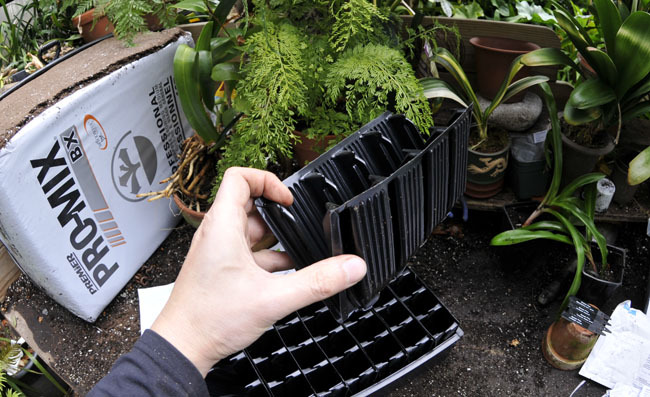 Try to keep seed pods from forming, and keep up with your staking, as needed. CONTINUE STAKING -By July 1, plants should be in full bloom. At this stage, your greatest challenge will be staking your plants, ( one never wants to see stakes, so fastidious gardeners often use birch twigs and olive-colored yarn), for poppies are tender and fragile, and even a passing skunk or cat can disrupt a border planting, resulting a terrible mess with just one evening's romp. You may feel that your plants appear strong and sturdy, but one downpour or a fierce hail storm can wreck a border in an instant. 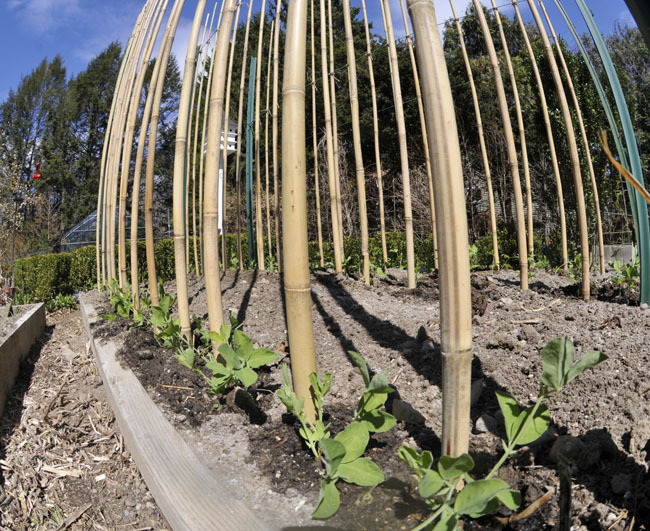 Small bamboo stakes placed carefully within the plants will be necessary as well as staking twine or yarn, Great skill may be needed to create an innovative staking method where one cannot see the structure. Use your best judgement ( and macrame skills). Proper nutrition is essential. 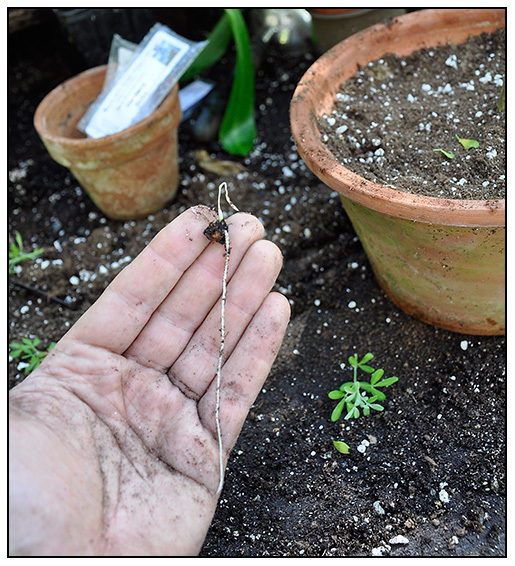 I use a 10-10-10 water soluble fertilizer once in early spring at half strength when the seedlings are 2-3 inches tall, and then I follow up with a flower strengthening fertilizer with an analysis of 4-10-8 when plants are 1 foot tall. Always be sure that the grown is damp ( not wet). 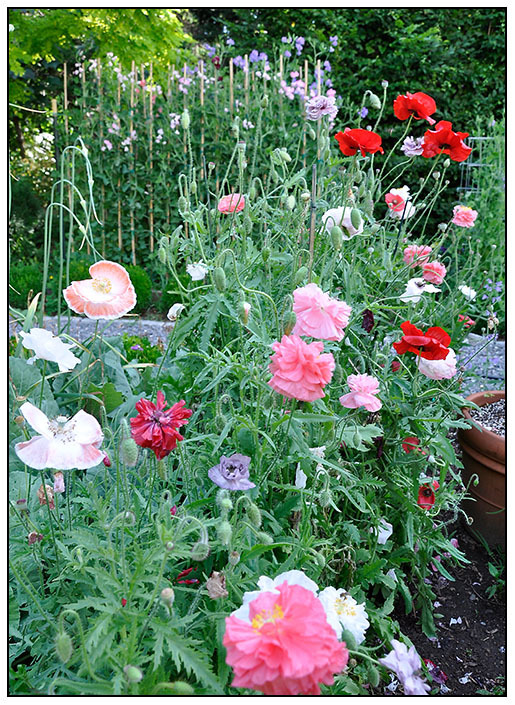 Poppies have few diseases beyond mildew and fungus, which alone, are quite damaging. There is little one can do once the weather becomes hot and humid, except to break out the gin and tonic, and sit back and watch the poppies fail. Relax, and just assume that this will happen eventually, and have a back up plan for the same spot once your plants are done blooming, around the second or third week of July. I sow pansy seed for the fall. Once hot and humid weather arrives in mid-July, the annual poppy season is over, as practically overnight, fungus and rot sets in. Seed can be saved but the strains are best is sown with fresh seed each year rather than allowing seed to self sow. Still, I leave a few seed pods to mature in the vegetable garden. The Shirley poppy season ends all too quickly, starting to blossom in mid-June, and ending in early to mid-July, but that should never stop us from expecting more in some years, or from enjoying their brief gift of 'wow'. Generally speaking, as soon as the hot and humid weather arrives here in New England, which is around mid - July. In coastal areas, the poppy season is over. If you garden in the Pacific coastal areas, your season may start earlier, and last longer, if you garden in the mid-Atlantic, it may be shorter. I feel that I should manage some expectations here. Annual poppies are not architectural statements, ( the planted beds are rarely beautiful statements), as they are casual and loose. if you are fussy about garden design, they are best planted near fences, in shabby cottage gardens or in clearly defined spaces where they can occupy a large circle of soil for a few, albeit spectacular weeks in early summer, and then removed once they have faded. You must then replace them with something else seasonal and later. One must also accept the colors they come in, so forget designing a color palette around them. Seed strains are simply too variable. Be aware that they will want to self seed, but they are far from being pests, but clearly they are not recommended plants for control freaks or formal plantings. My best advice is to invite Shirley Poppies and P. rhoeas into your garden, gracefully. Think of them as rare, French Impressionist flowers ( as, well, they are!) - rejoice in their surprising colors as if they were dabs of bright colored coral tinted paint in your landscape - virtual pointillism alive in your garden. Accept that they are terribly short lived and briefly stunning, and most importantly, they can be a statement of both your horticultural prowess, and your taste level, as well. Shirley Poppies, sown and watered-in well, with my 'terrier barriers' set up. When ever I freshly dig soil, Fergus and Lydia can help but dig in it, and run around in it. I use tomato cages to discourage terrier mayhem. As a follow-up to my post on growing poppies, I thought that I would show you my step-by-step method for sowing not only poppies, but the same method can be used for any annual seed which needs to be sown on-site - those annuals that reject being transplanted, often due to their tap root. Poppy seeds are mixed into sharp sand, to help disperse the seed evenly. since I am sowing Shirley poppies, in a small area at the end of a raised bed in my vegetable garden, I don't need many. Here, about a quarter teaspoon to 3/4 of a cup of sand. Poppies dislike being transplanted, which is why you rarely see them sold at garden centers, and if you do, you should avoid them, for they will fail. These are annuals ( or biennials for fall sowing in California) must be sown where they are to grow - so choose a spot where they can grow undisturbed to maturity, and where you can keep a watchful eye on them so that they do not get crushed, stepped on or lost amidst taller plants later in the season. 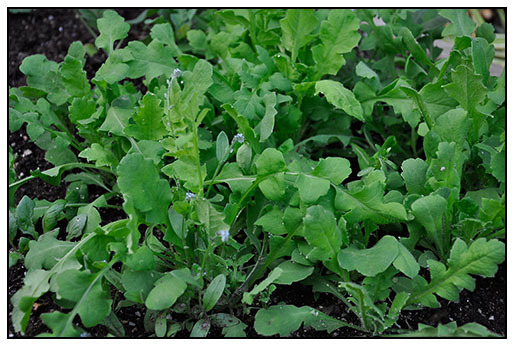 Young seedlings will need careful weeding at first, for the tiny seeds will produce tiny seedlings. So growing them at the end of a raised bed will allow you to watch carefully, and fuss with them a little bit. Seed is mixed into sharp sand. I use sharp builders sand, which I buy from Home Depot in 20 lb bags. This is the sand sold for use in laying pavers, but any sharp sand like pool sand, sand box sand can be used. Look for sand that is quartz and is uniform in size ( like coarse salt), since you want the seed to be distributed through it evenly. 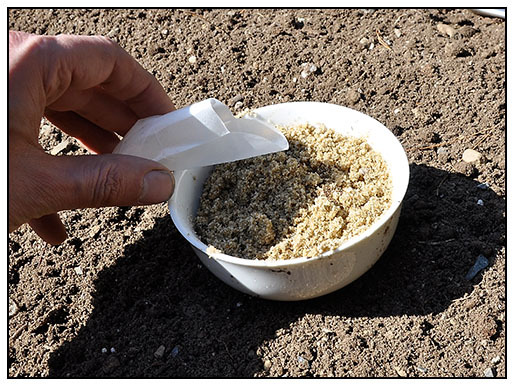 Obviously, they goal here is to dilute the tiny seed with sand, so that when you sow it, you get an evenly broad casted area, and if you are lucky, very little thinning will be necessary. 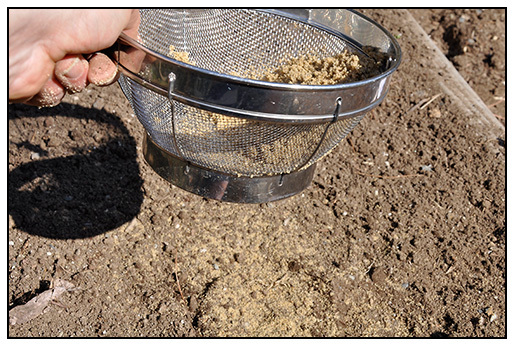 The sand and seed mixture is placed into a sieve - look for one with large enough holes, so that the sand, and the seed can pass through. Seed and sand mixture is 'sifted' over the prepared bed. Don't worry, the sand washes off of the sieve with a hose. Soil is tamped down with a wooded block ( I just found it in the garden while cleaning up today, but you could use a brick). This ensures that the seed is pressed tightly onto the surface of the soil. Light helps poppies germinate, so do not cover the seed with more soil. Tamped soil is watered-in carefully, and slowly, so that the moisture reaches down into the depths of the soil's surface. 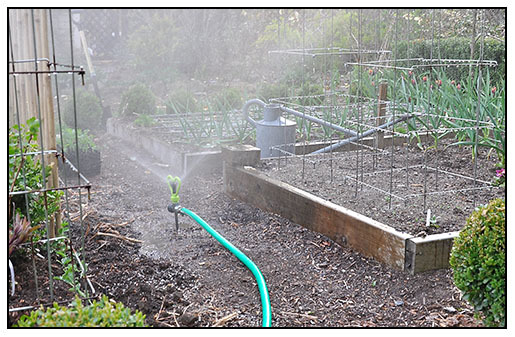 Water, ever if it is going to rain, for gardeners know that until it rains for a full day, newly sown seeds need consistent moisture, and not watering well, can postpone germination for a week. It's nearly March 1st, which means seed-starting time - at least for early crops. I too have been guilty of the most common mistake that new gardeners often make -starting their vegetable and flower seeds too early. 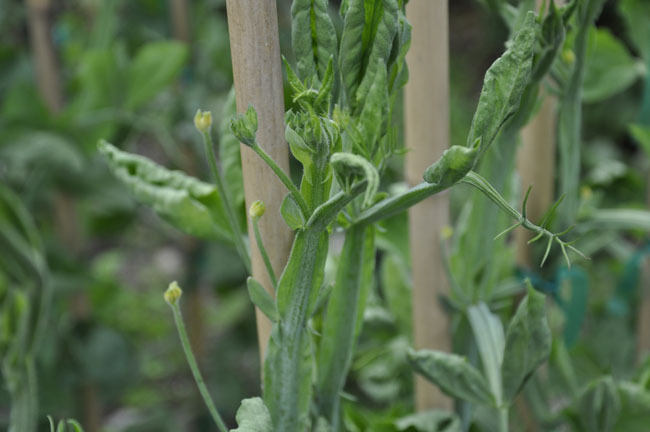 Most seeds must wait, until the end of March or even mid-April for crops such as tomatoes, but there are some crops that benefit from early kick-starts, and cut-flower sweet peas is one of them. 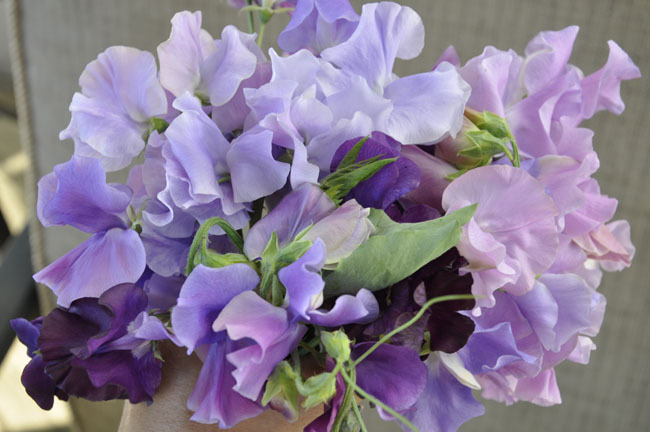 If you love the classic, old-fashioned long-stemmed sweet peas that you sometimes see in stylish weddings and florists, then you must grow the proper varieties - welcome to the cultivation of the rarely experienced English Spencer varieties of sweet peas. 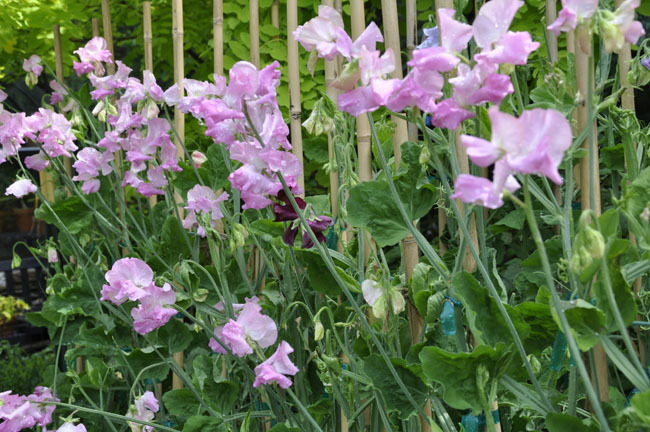 The sweet peas that true sweet pea fans grow, and the same varieties used for exhibition in England, where they are so popular. 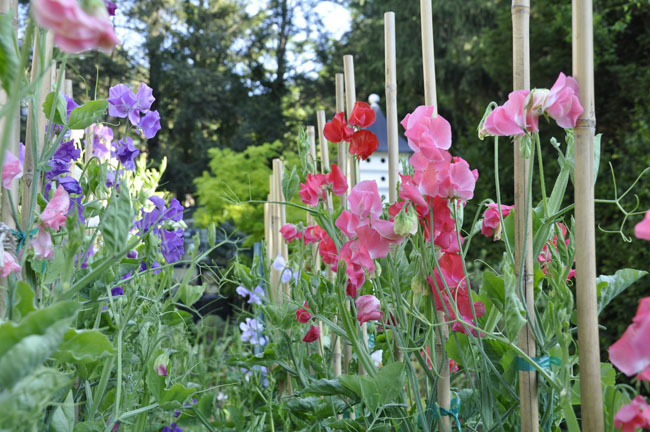 If you too want to experience these amazing long stemmed, fragrant and colorful sweet peas, now is the time to plant them - starting with seeds. 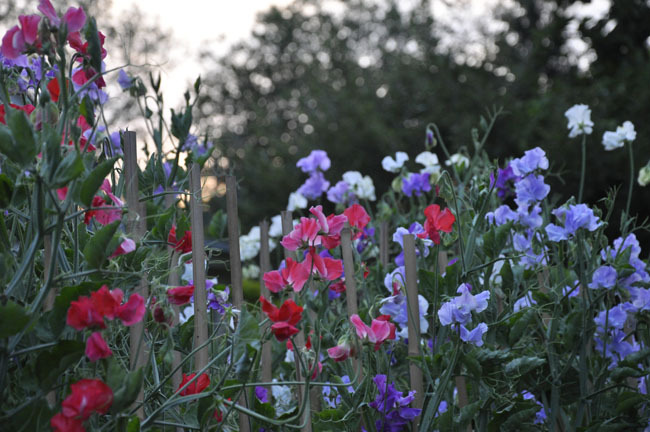 Growing cut flower sweet peas to perfect takes planning, and dedication. The finest seed should be acquired ( I get mine from Owl's Acre Sweet Peas in the United Kingdom). I find that I do not need to soak seed overnight in water, but you can do that if you want to speed up germination. Do not leave seed in the water longer than 12 hours however, or you risk damaging the embryo - you don't want bean sprouts before you plant them! 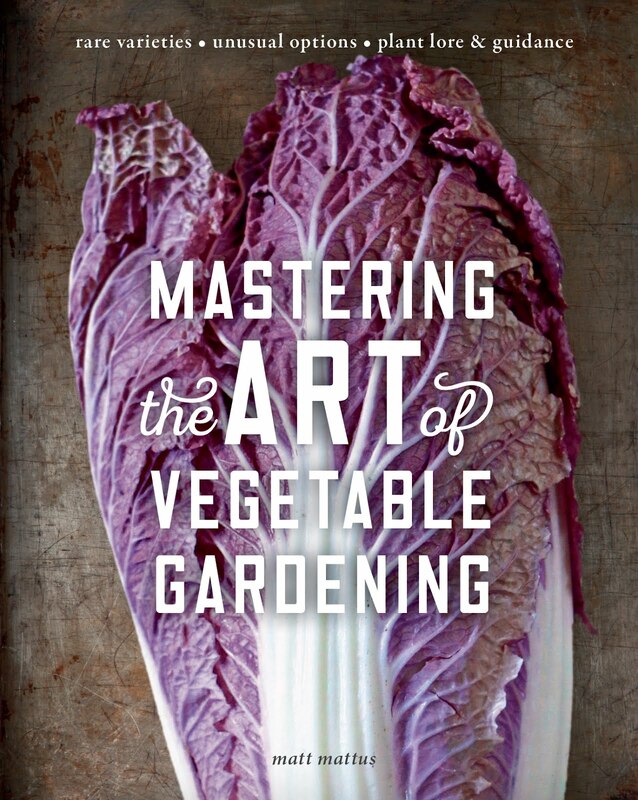 Plant hard, fresh seed in damp soil, and you will be all set. Leave the soaking to the old-timers and the inexperienced. 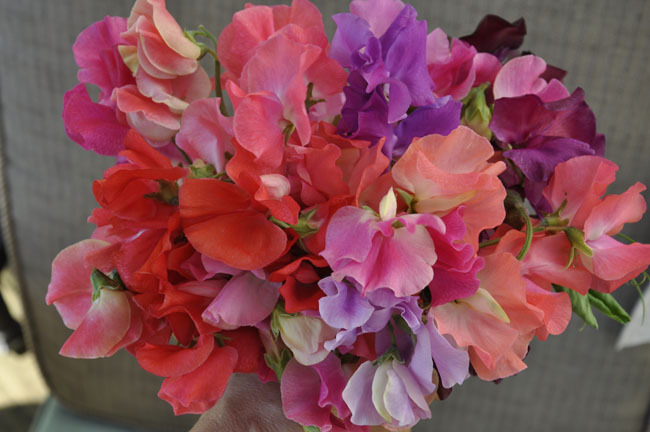 Most sweet pea varieties available in the United States are either old strains, those heirlooms with small or bi colored flowers, the fancy stripes and flakes ( those really-vintage red and white flecked forms) or those known as Spencer varieties- long stemmed exhibition forms, which are the most commonly grown long-stem varieties popular in England. 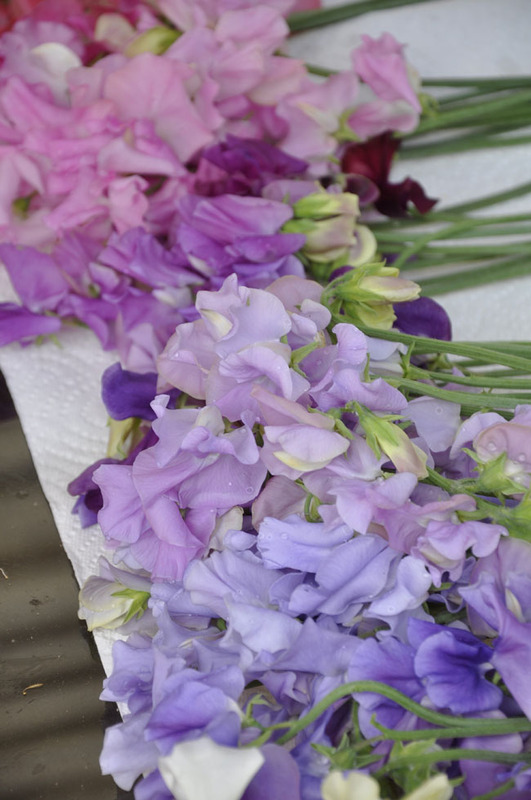 There are fine sources in California from some classic names Spencer varieties, but as I spend a lot of effort growing the finest cut-flower methods, I figure that I might as well order the seed that the sweet pea exhibitors grow, from the same sources. You may have just as fine a result from American grown seed, I saw get what you wish, for I've even found some of the old-fashioned Royal varieties nearly as nice, and in fact, if a warm summer is expected, they may perform better. One of the tricks in growing fine sweet peas is getting the young plants off to a good start. Most professional exhibitors use these root trainer pots ( sold under the brand name Rootrainers). They are costly, but I've found nothing better. Trendy newbies may suggest using toilet paper tubes, which I am also using, but you must be careful, since they deteriorate quickly. 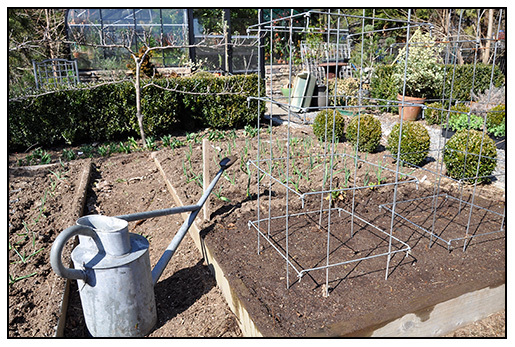 The goal is to provide a deep root run, since sweet peas want to send a long root straight down, and the more depth you can provide, the better off your mature plant will be. 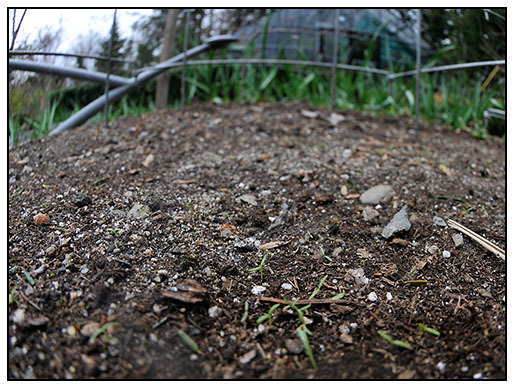 A cultural note here - you may plant seeds directly out in the garden even around March 1st, (even here in USDA zone 5) if the ground is 'workable' but germination may be delayed, and can take as long as a month, wasted time if you want to maximize the cool weather for growth before it gets warm. You will find that germinating seed at 70 degrees F, and then relocating the seedlings to a cool if not cold growing area where temperatures shift from around 65 deg. F during the day, to about 45 degrees F. during the night as ideal growing conditions. 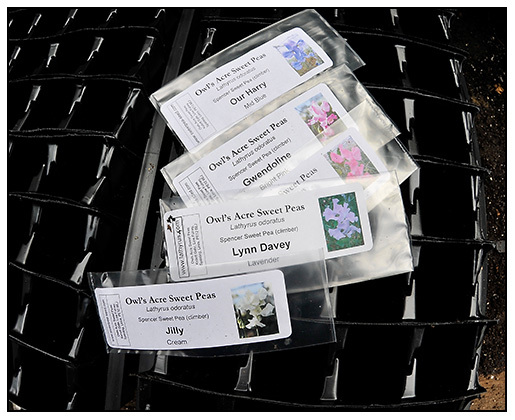 Labels can be created if you want to keep track of the varieties you are growing, or, if you are like me, to remind myself which varieties I did not order, since I just decided to order all of the other varieties that I did not order the first time around. 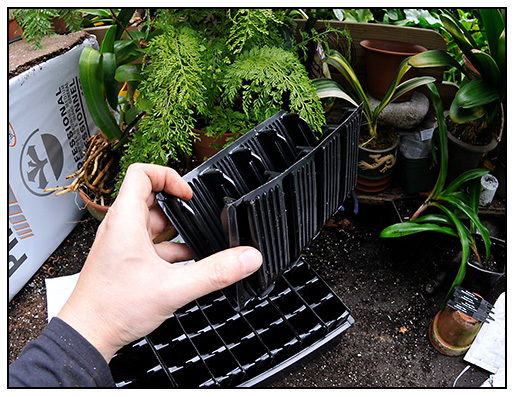 Fresh seeds are planted into the Rootrainers, as soon as the seed arrives in the mail. I use a professional soiless mix ( ProMix) in which to start seeds since it is sterile, and the texture is perfect. Seeds are pressed into the surface of the soil, with the eraser end of a pencil and once watered well, I check again to make sure that the seeds are completely covers. The seed trays are then brought into the house, where this sit on a warn shelf above the over until I see shoots emerging - which takes about six days. Then then are imediately relocated to the greenhouse, where it is much cooler. DISASTER STRIKES A FLAT OF NEWLY SPROUTING SWEET PEAS. ONE SUNNY DAY, AND THE VENTS DID NOT OPEN PROPERLY IN THE GREENHOUSE - SEEDLING COOKED IN THE NEARLY 85 DEGREE HEAT. I ALREADY REPLANTED SAVED SEED IN THE SAME POTS. This one flat was brought out to the greenhouse and placed in the full sun by Joe, who forgot to water them. Pea shoots are very tender at this stage, and one hot sunny day, even if it is February, can roast the tender tissues. I lost four rows and two varieties ( of course, the ones that I had no extra seed for!). Typically I would lose seedlings to mice, but I've set traps in anticipation, two weeks ago, and we've caught four already. I took photos but thought that I would spare you the images. I am certain that there are more ( like, maybe 30?) so the traps are still set with peanut butter, our bait of choice. My fear is that one of these mornings, I will walk in and see every pea plant chewed off to the ground ( again) since that is what happened in October with my winter-blooming greenhouse crop, but I am banking on the fact that our mouse population is satiated with their steady diet of Rhodohypoxis ( remember those large, wooded trays with a few hundred bulbs each that I grew my collection into? They are all gone. every single one. <sigh>. Time to get us some terriers.......no, wait a minute.... ugh. We have the only Irish Terriers in the world who prefer Brussels Sprouts over mice. A good example of why root trainers work. This seedling ( sun roasted on the top) shows just how fast and how straight the sweet pea roots want to grow. This root is nearly 6 inches long, in just 2 weeks. Seedlings will be pinched back once they produce their first set of true leaves, which will stimulate a side growth which will be surprisingly more aggressive. It's always hard to do, but once you get over the first pinch, a finer crop of sweet peas will be in your future. Now? Off to order new bamboo poles to construct the cordons on which I will be training this crop.